Ideal for those who want the best of both worlds, this mixed metal designer men's gold band is certain to impress. 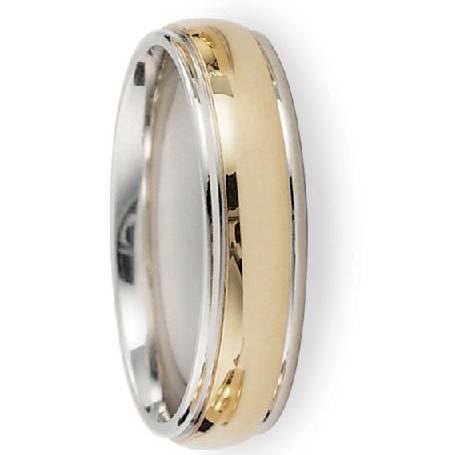 A center band of 14K yellow gold is framed by 14K white gold edges in this wedding ring for men. 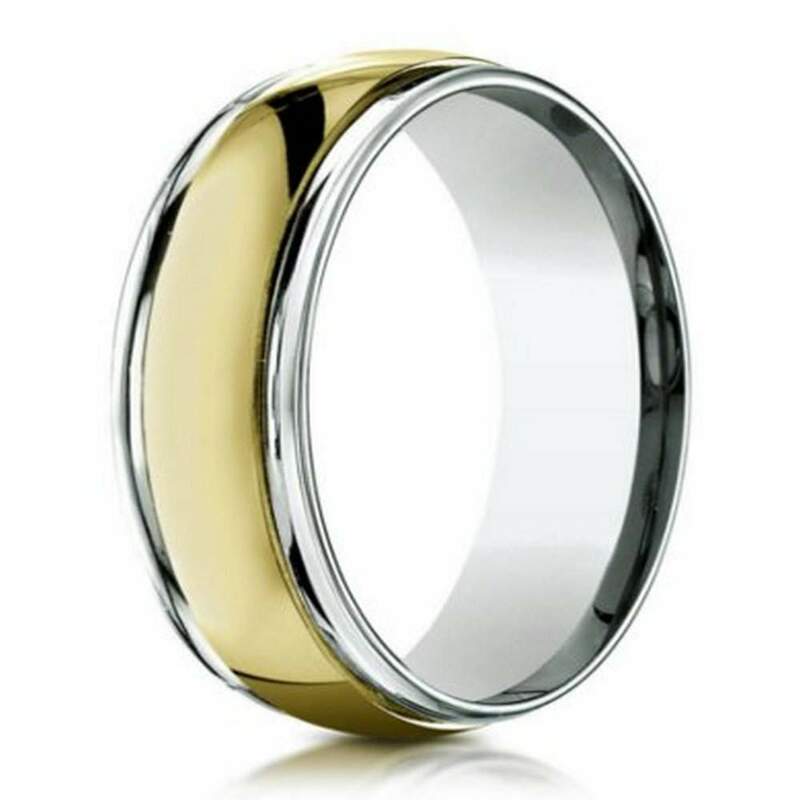 The gleaming polished finish and 6mm comfort fit band mean that this two tone ring is as comfortable as it is attractive.Comfort fit rings usually measure 1/2 size smaller due to the additional metal inside the ring. We recommend having your finger measured for a comfort fit ring at your local jewelry store. My husband lost his original wedding band, while we were in the hospital after I gave birth to our twins, on his birthday. He was devastated. His original wedding band was over double the cost and I knew we could NOT afford a new band. This ring is almost identical. No one besides him would EVER know it's not the original. It's a beautiful ring. I HIGHLY recommend! We are VERY satisfied!